Here is a stunning photographic book, capturing the rhythms of day-to-day life in China. Sungwan So's evocative photographs combine with simple, informative text to present a colourful portrait of Chinese culture, craft and custom. Informative, enlightening and entertaining. 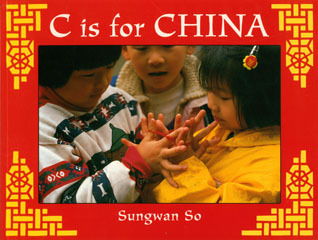 C is for China By Sungwan So is a great way to introduce children to another culture whilst familiarising them with the alphabet. C is for China By Sungwan So is available to buy now.